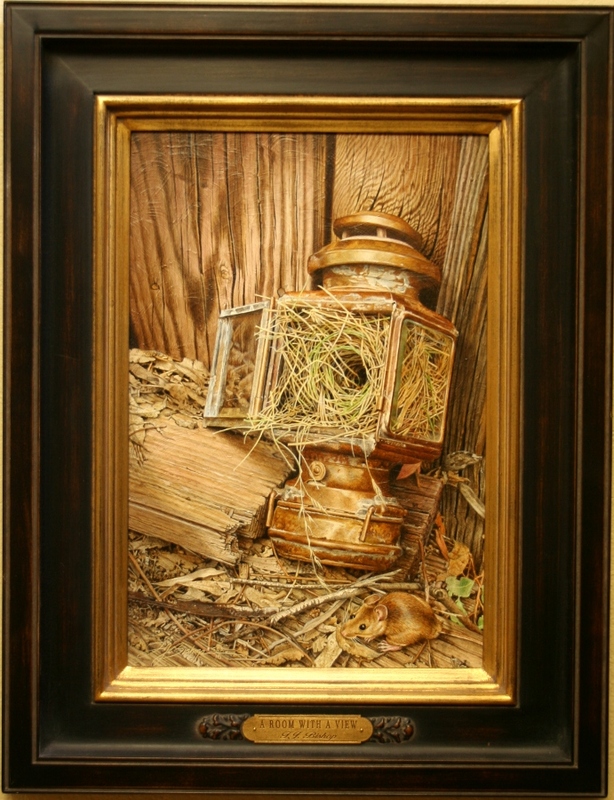 Field Mice in general will nest just about anywhere, using whatever is available in the way of materials as well as locations. 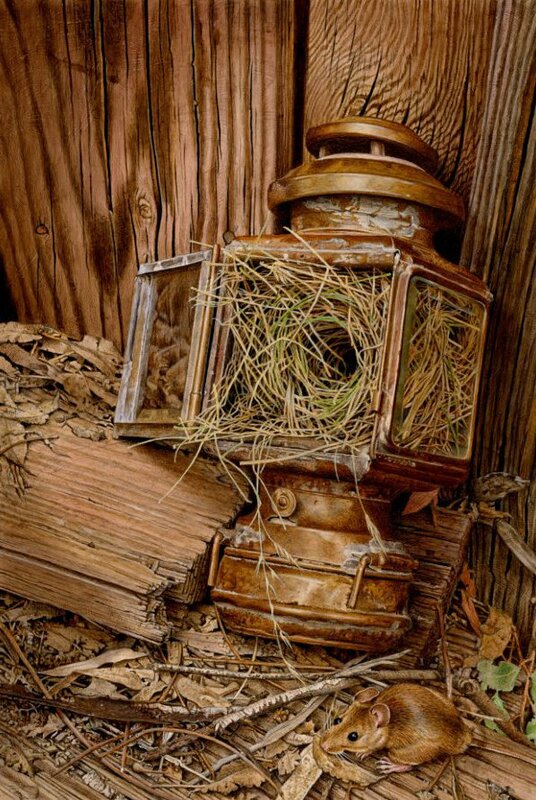 In the instance of a “Room with a View” this field mouse has chosen to build its woven, ball shaped nest in an old forgotten brass coach lamp that had been tucked away at the base of a wall in an old shed. Surely this little rodent’s lodging the envy of all others of its kind….A field Mouse, Pent House….